This sounds like the typical question your 3 year old might ask? Have you ever really thought about where they come from? Candidates come from a number of different sources. I’m going to tackle the 4 major sources over the next few weeks in these blog postings. Unfortunately, most companies don’t get to see the best ones. Instead, the only use ONE dominant source and it’s usually not the best source. 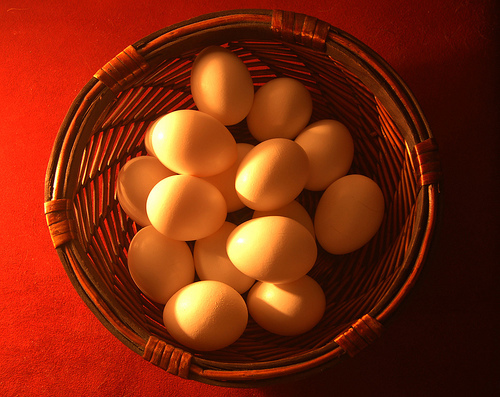 This is known as “putting all your eggs in one basket”. I'm going to challenge you with a “disruptive” thought: if we only use one method of finding candidates and it’s not the best method – what’s going to happen? This occurs because you’re using a technique of advertising that’s been around since the beginning of the industrial revolution and it just doesn’t work well in today’s social media-interactive-engagement oriented climate. Posting traditional job descriptions onto job boards is a worthless recruitment strategy and a complete waste of money. Occasionally, you might get lucky and find a gem – but it’s not an on-going rigorous process that fills your pipeline with great talent. The traditional job description combined with classified job advertising (job board ad posting) primarily attracts the bottom 1/3 of the candidate pool. It attracts the rejects, retreads, dysfunctional, poor performers who will NEVER succeed in your company. It’s very difficult to separate the “wheat from the chaff” as the adage goes. Out of the 300, you can’t figure out what keyword did 298 click on to apply for the job. They are so far off the mark, it’s bordering on comical. Two in the group looked pretty good. Unfortunately, they went on and off the market in the blink of an eye – since 50 other companies were advertising for the same exact job with your same job description boilerplate language. 3 weeks after you posted the advertisement, you’ve got nothing to show for it except the 6 hours you spent reviewing resumes while watching Dancing with the Stars. Now you’re faced with a dilemma – what to do? In most cases you will REPEAT and RINSE – you’ll run the same ad again hoping for different results (welcome to the insanity of traditional recruiting). What do you get – same results as the first time. Except this time, you’re tired of the process. You crave for it to be over. You’ve got real work to do instead of wasting your time trying to hire someone. After 5 more weeks, you’ve managed to line up 3 candidates. You know that not one of these candidates can achieve your expectations. However, you’re done – you want nothing more to do with hiring at this stage. So you pick the “cream of the crap” and hope they manage to make it through your 90 day probation period. You could deal with rehiring someone in 90 days – right now you just need a break. I know you would never fall victim to doing this – but what about all the executives and managers who work for you? How many times does this occur in your organization on a daily basis? STOP using just one method of hiring – posting on job boards – and especially STOP using the traditional job description as your advertisement. The job description is not an ad – it’s a job description masquerading as an ad – and it’s a complete turn-off to top talent. I recently wrote a companion article to this blog post titled Hiring Mistake #7: Fishing in Shallow Waters. Fishing in Shallow Waters occurs because we try to easily and quickly skim the candidates floating near the surface of the pond. 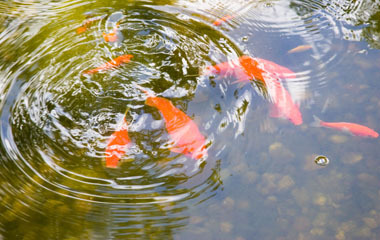 If you want to get great employees, you must fish deeply in the pond. You can read more about one of the greatest mistakes in hiring – fishing in shallow waters – by clicking here. Are you frustrated by posting job descriptions on job boards and getting weak candidates? What other methods are you using to attract better candidates? We’ve created a quick 15 minute phone review called “I could have had a V-8 to find better talent”. The hundreds of companies that have called us and asked for the 15 minute review are stunned at how easy it is to find great talent outside of generic job board postings. Are you ready for your “I could have had a V-8 to find better talent” review. Fire off an email or use the contact form on our blog to send us a note asking for your 15 minute review. If you’re done wasting time attracting the bottom third of the candidate pool through traditional recruiting techniques, start right now to make a change to start getting the top 25%!